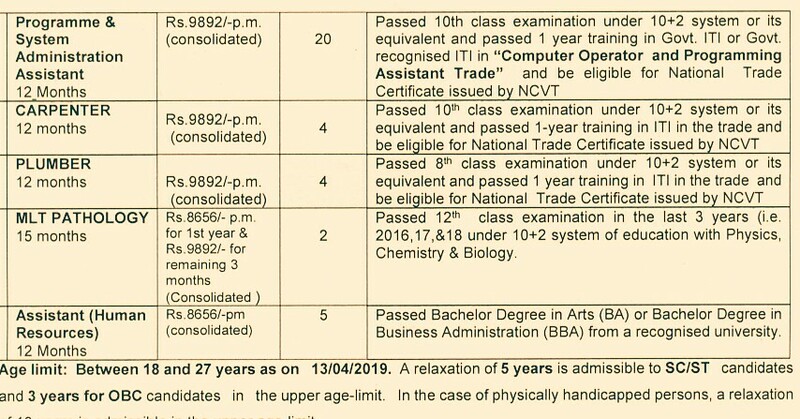 Bharat Heavy Electricals Limited, Tiruchirappalli, Is Recruiting Eligible & Interested People To The Various ITI Trade Apprentice Under Apprentice Act Of 1961. So Interested People Can Apply For This Through Online Mode Within The Given Time Period. A.Number Of Vacancies And Name Of The Posts. 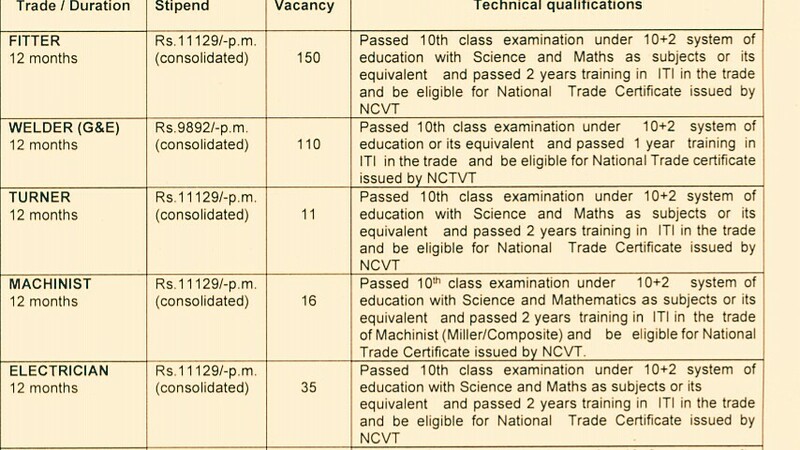 16 Trade Apprentice Posts →400 Vacancies, Kindly Do Check Out The Image's Below For Name Of The Posts/Trade/Discipline, Technical/Educational Qualification, Vacancies Distribution And Stipend. (Credit- The Official Notice BHEL 2019). B. Eligible Criteria For BHEL Recruitment 2019. Age Limit →18 To 27 Years. 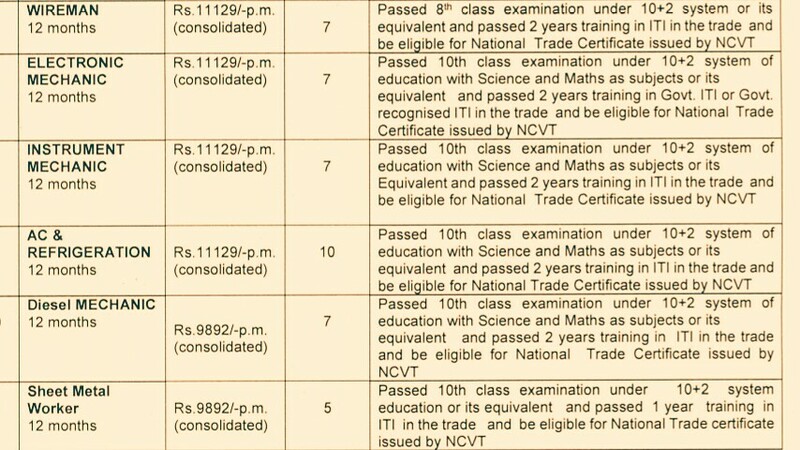 Educational Qualifications →Check Out The Image's Above. Mode Of Examination/Selection Process →Documents Verification. Last Date For Online Application Form Submission →30th Of March, 2019. Now Apply For BHEL Trichy Recruitment 2019.